Sometimes when we want to use a template we look for easy packs - where there are some rectangles so we can just clipp our papers, add few elements and that’s it. Today I wanted to encourage you to try to step out of your comfort zone in scrapbooking. You may say: it depends on the kit I use andI will reply: I don't agree and I want to demonstrate you why. As there are many layers in the template I repeated a few times the same paper. What's more, I used 3 main colours – white (and a bit of clear grey), yellow and turquoise. This tip absolutely helps to achieve nice effect in the templates with many layers and they still look elegant and artistic. I also like to add some paint splash or glitter on the background for more artistic look. 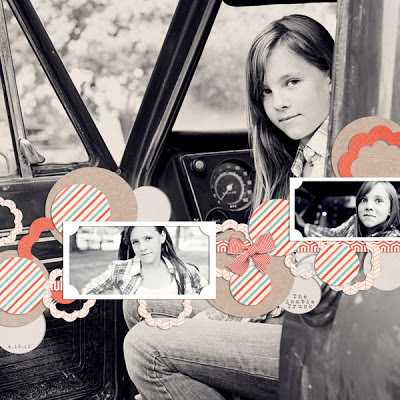 My main aim when creating layouts is to show my pictures. I achived it because I clipped faded and saturated photo which would look nice with the chosen colours. Try to play with different elements if you don’t feel comfortable with mixing the pattern papers. If your page still looks flat and dull add more shadows so it doesn’t look like the digital page but a real one. One more tip how to achieve an elegant page: try to use just one kit as normally the designers use just few colours in their kits and it may help a lot while playing with the complicated template. 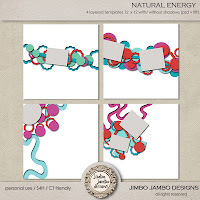 Hope these few tips will encourage you to try to create an artistic page with some more complicated templates like for example Natural Energy. Below you will find few more pages with this pack from my team. Look at them and analyze how they dealt with these kind of templates. 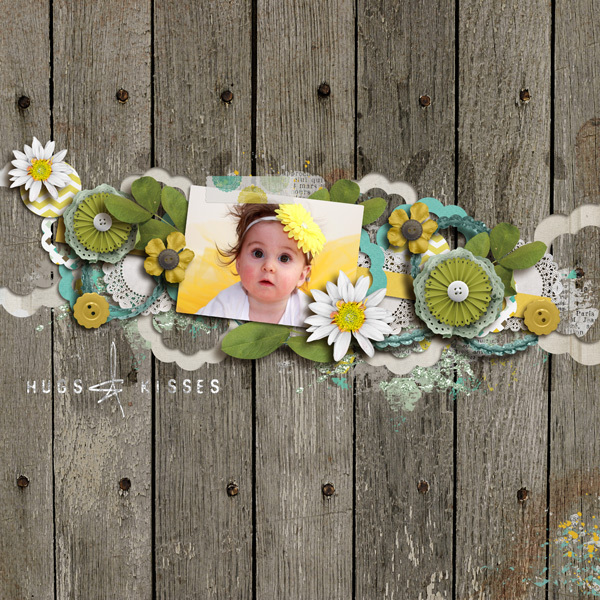 Elisa is more clean and simple scrapper and she just reduced some layers, added delicate shadows and did what I say you shouldn’t do - mixed some patterns but she masters this technique to perfection so her mixes always look amazing. If you feel confident enough to mix some pattern papers give it a try as Elisa did. Another one from Elisa. 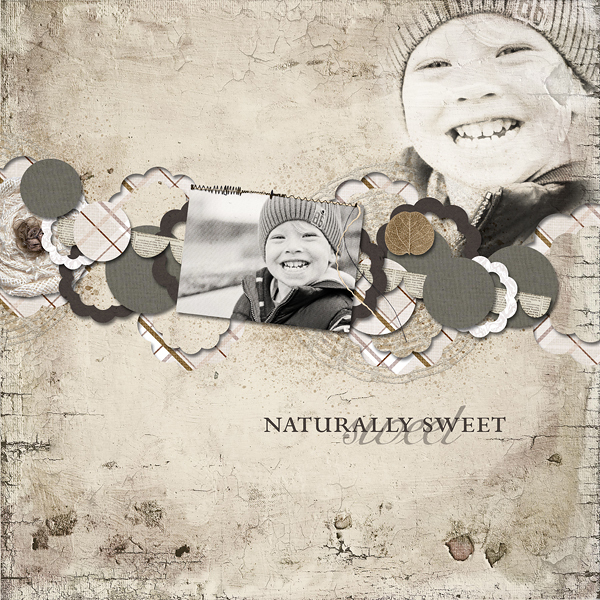 If you don’t have many ideas how to mix papers just use a big photo as your background and add few smaller photos with the same treatments in the layout, choose just few coulours and mix everything together. Hope you achieve as nice effect as Elisa did. Susanne in this layout didn’t use pattern papers. 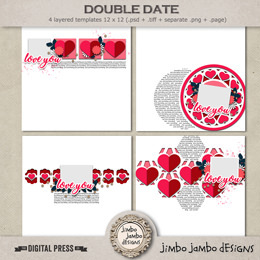 However, she added many gorgeous small elements and use the info I resumed for you – she added a photo with similar coulours that the layout, used just a few selected colours in the whole page, added some paint splash and she got a perfect page. Everyone falls in love with Morgana’s layouts. She normally use clean and simple kits and gets amazing pages. In this page she added white background and a few colorful elements and she maintained a perfect balance in her page. Mary mixed few of the tips I have given you – played with a few colours -she mixed grays with browns. She added an amazing photo and repeated it on her background. Moreover, she played pattern papers but in the same tones as the rest of her papers.